After Samsung is to mass produce 14 nm FinFET chips that will be used to manufacture the Snapdragon 820, the latest benchmarking results of the chipset have been leaked. 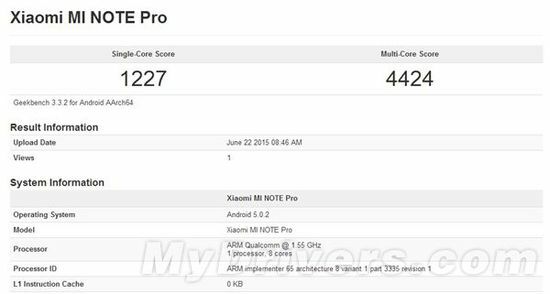 Finally, we get to see the upcoming flagship SoC in action. Just to provide a summary to you guys, despite the fact that Snapdragon 820 is going to feature custom Kyro cores running at a clock speed of 3.0 GHz, the chipset is still unable to zip past Samsung’s Exynos 7420, at least in one half of the entire test. 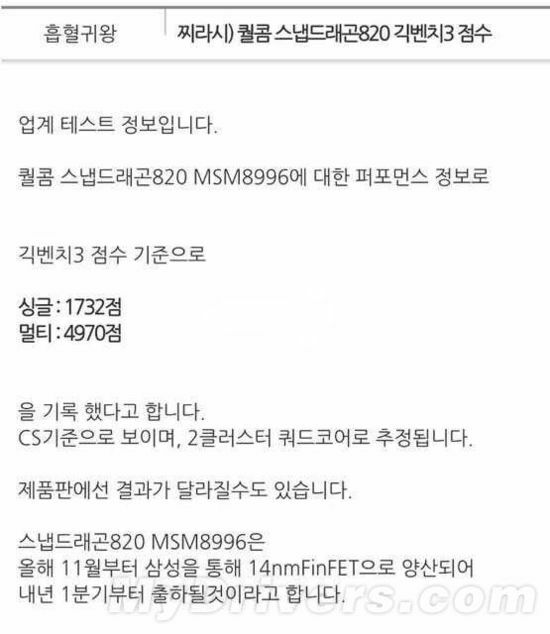 According to Korean website Tech.163, Snapdragon 820 supposedly underwent a benchmarking test using GeekBench, and if you see in the images carefully, the chipset is able to beat Samsung Exynos 7420 in the single-core test, which is great news. However, the same success story cannot be repeated in the multi-core test, as Samsung’s homegrown SoC is able to outperform Qualcomm’s upcoming flagship product. Given below are the summarized results obtained from the benchmark. 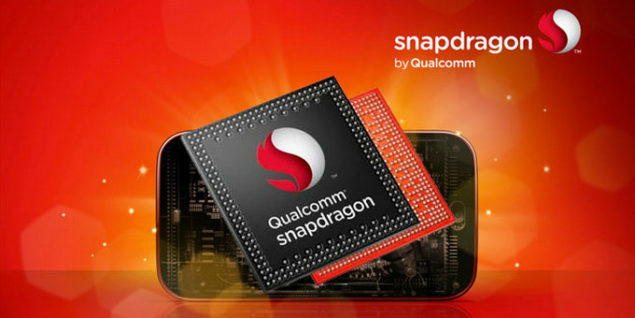 If the 3.0 GHz clock speed of Snapdragon 820 turns out to be true, then it has greatly helped the mobile chipset thwart Exynos 7420, which has been reigning champion for quite a while. However, Samsung’s SoC still retains its title in the multi-core test. Not long ago, benchmarking results of Snapdragon 620 were revealed, and they showed that the chipset was also able to zip past both Snapdragon 810 and the Exynos 7420 in single-core test results, but failed to perform the same feat in the multi-core test. The Snapdragon 620 was able to score 1529 points, compared to Snapdragon 820’s 1732, which is not a lot of difference, seeing as how both SoCs belong to two completely different performance categories. It won’t be long till we see Snapdragon 820 in action, and when that happens, a proper performance comparison chart can be drawn up, showing how far Qualcomm’s chipsets have come in both performance and thermal efficiency. For now, we will view these results with a grain of salt, till actual handsets sporting the aforementioned chipsets have been released.